Whether you are in Utah or anywhere else in the world, you can benefit from powder coating metal surfaces. It’s a safer option for you and the environment because it does not contain any solvent. In addition, the curing time for this method is significantly faster than the liquid one. Nevertheless, you still need to know how to apply and maintain it properly. If you want to learn more about metal powder coating, Utah metalworkers have some tips for you. 1. Pretreat the surface. Solvents found in the liquid coating is absent in powder coating. These solvents make the coating process more forgiving in terms of surface residues. Since these chemicals are not found in powder coating, you need to pretreat the surfaces properly. 2. Clean parts safely. Before pretreating the surface that needs coating, you need to clean it thoroughly. Without this step, the pretreatment won’t be able to work its magic, which will also affect the performance of the powder coating. The type of cleaner will depend on many factors mainly the temperature, contact time, capabilities, type of soil being removed, and others. To determine if you cleaned the parts thoroughly, perform the “water break free” test. This test will let you see whether there are portions where the water does not cover, such as in a waxed area. If there is any, it indicates that the cleaning is not enough. 3. Phosphate. Phosphating helps the coating stick better. This process is the pretreatment and you can choose between zinc or iron phosphate. The former is usually for high-end applications while the latter is for general applications, although zinc is the recommended option if iron cannot deliver the desired outcome. 4. Use low pressure for cleaning. To maintain and prolong the service life of powder-coated surfaces, use only low pressure for cleaning. High-pressure washing can damage the coating, particularly if the pressure is strong enough to shift the surface’s position. 5. Test. Some powder coatings do not follow the one-size-fits-all principle. What works for one surface may not work for the other. Always test it in a small spot, and then try wiping it off after drying. 1. Use harsh cleaners. Harsh cleaners contain solvents that may be too strong for the powder coating. As a result, it can damage the finish. Consequently, the coating will start fading and become susceptible to staining. A mild soap that can break down most stains should suffice. The areas that require regular cleaning, such as the exposed surfaces, can do away with filtered water and wiping using a soft cloth. 2. Use unfiltered groundwater. Like harsh cleaners, unfiltered groundwater or tap water also contain harsh chemicals, such as sulfur and chlorine that can stain or cause discoloration to the surface finish. 3. Take recording lightly. If you want to make sure you’re getting the same awesome results every time, record the maintenance procedure religiously. In your records, include the products, materials, cleaning dates, and types of cleaners used. The recording also helps you avoid products that didn’t sit well with the application. 4. Forget about the wax. Exposed surfaces need extra care for obvious reasons. 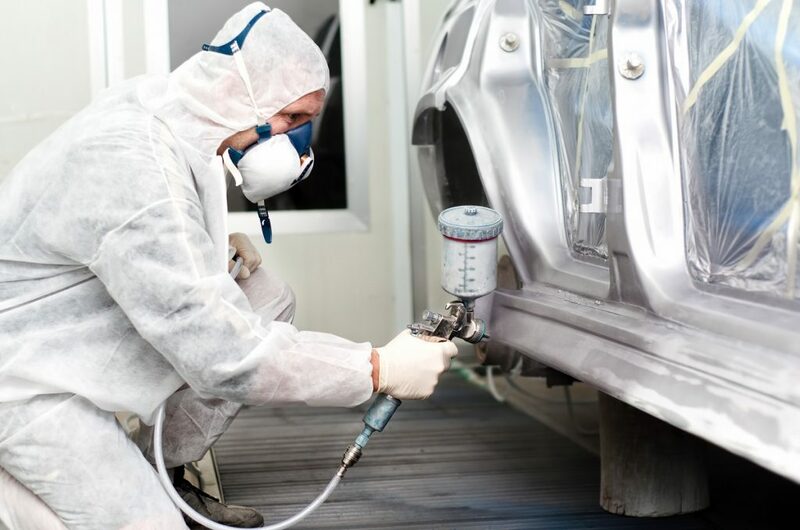 To extend the service life of powder coating, apply non-abrasive car wax that contains UV blockers to these areas. Wipe off any excess wax to avoid staining. 5. Ignore the recipe. You don’t want to under-cure or over-cure the powder coating, so make sure you’re curing it under the right temperature and time. To get the most of powder coating, seek professional help. Powder coating application requires the right pre and post application care. If ignored, it may greatly affect the result.